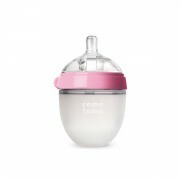 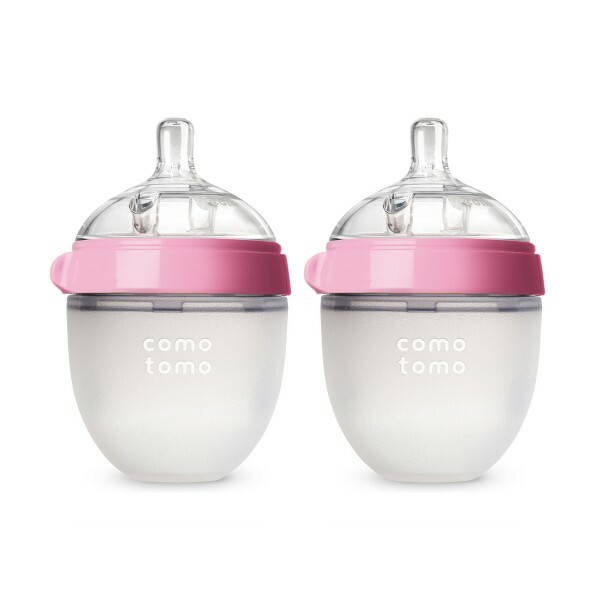 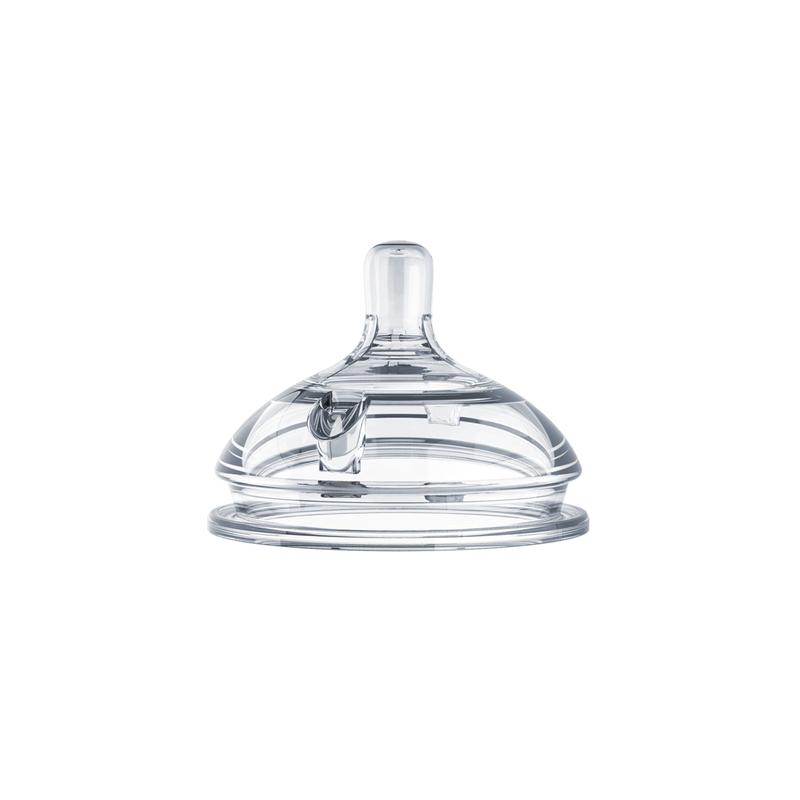 Comotomo baby bottles have relieved many struggling parents around the world, by easing their baby into the transition to bottle feeding. Their innovative wide-mound design and anti-colic vents help to create, what is being referred to, as the best bottle for newborns. 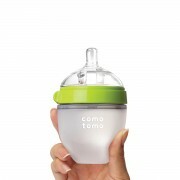 At Comotomo, safety comes first – and that’s why every material used in their products is thoroughly tested for toxicity and allergens. Second, a love of brilliant design drives Comotomo, where most products are pared down to basics, like the ingenious medical-grade silicone bottles which mimic the shape and feel of a mother’s breast, making feeding easier and less stressful for babies and their parents. The Comotomo Natural Feel Baby Bottle (5 oz) features an ultra wide-neck design, dual anti-colic vents to prevent unwanted air-intake to help reduce instances of colic and a unique soft and skin-like bottle material that offers a better grip and a soothing, calming feel. 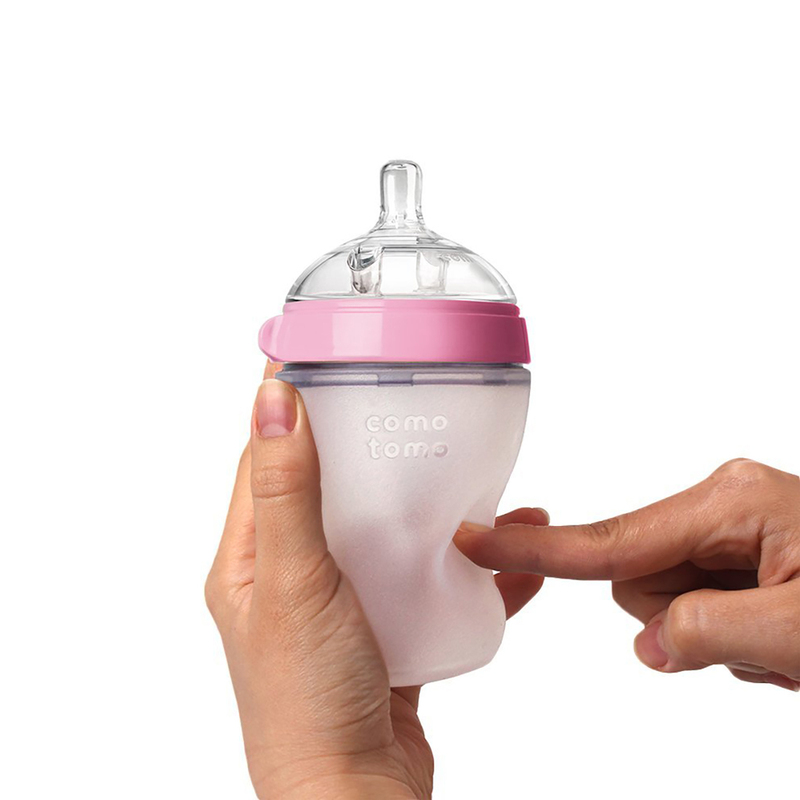 It’s also easy to clean and can be used in a sterilizer, microwave and dishwasher.